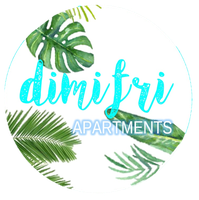 The apartments are situated in the small and pretty fishing village Cabanas de Tavira in the East Algarve. The village is in the Nature Reserve, Ria Formosa. Very close to the apartments is the departure point for the boats that take you to and from the beach. Cabanas has quiet, long sandy beaches. On the beach you can relax, kite surf and take fantastic walks. The village has supermarkets, bakeries, butchers and a daily fish and vegetables market (Monday to Saturday from 09.00 till 12.30 hrs). A post office, a shoemaker, a drugstore and a range of other small shops. 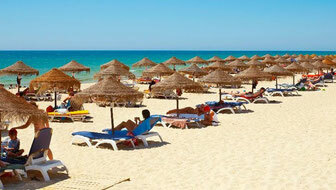 Cabanas enjoys good bus and rail links to Tavira, Faro and further afield. If you love nature, walking or cycling Cabanas is the place to be! Because the village has an authentic and relaxing atmosphere, not to mention the wonderful climate, you can enjoy life throughout the whole year! 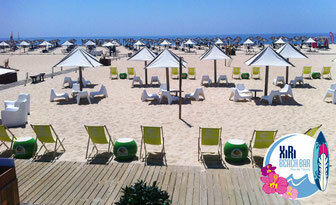 Cabanas has a beautiful beach with one large and one small beachbar. You can either rent sunbeds or just lay on the sand. What makes it unique is the fishermansboats that bring you to the beach. 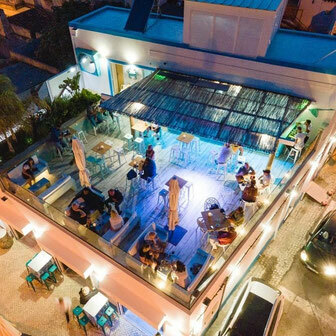 Tavira Island is a larger island with restaurants and bars, it also has a campground. 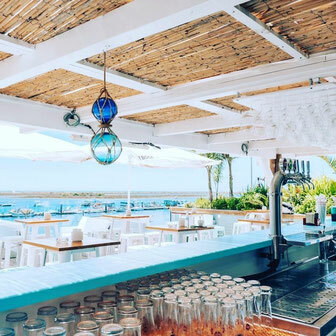 Our favourite bar is Xiri Beach Bar. It is very affordable and they have great staff. You can get a massage on the beach or do watersports. To get to Tavira Island you can either take a AquaTaxi or the larger boats from Tavira. Quasi bar is our bar situated right at the front. 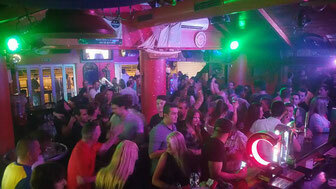 Happy hour is very popular (7 to 8 PM) It is also great for dancing. We would love to see you for a drink! 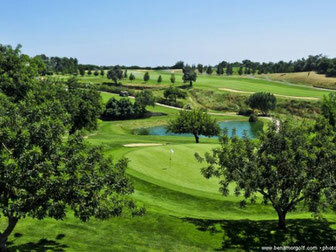 Benamor Golfcourse is the closest golfcourse from the 6 courses within a 15 km range. 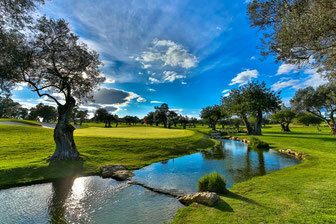 It is a beautiful course that is more challenging than it looks. If you want to get married on the beach, contact Frederique from Casamento Weddingplanners. She can make your dreamwedding a reality! 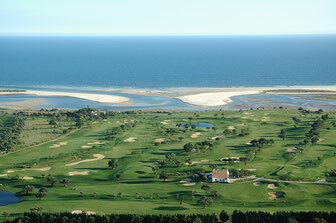 Quinta da Ria Golfcourse is a nice course right next to the ocean. It has the best views.